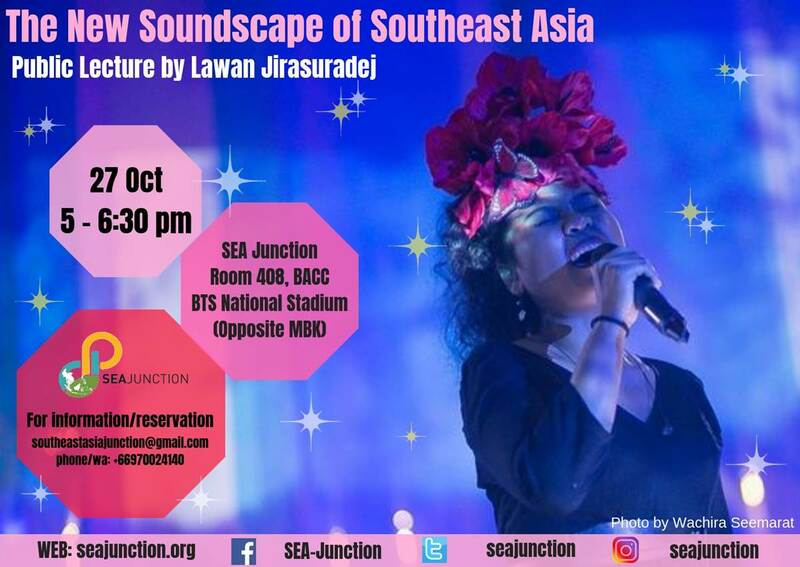 Writer and film maker Lawan Jirasuradej will give a public lecture at SEA Junction on 27 October 2018 at 5PM focusing on contemporary sounds of traditional music in Southeast Asia. Her talk is based on her research and writing for the recently published book New Voices in Southeast Asia (2018, Sugree Charoensook, ed.). 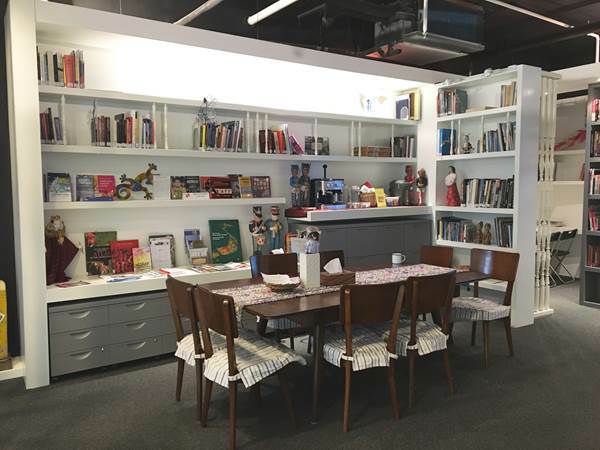 The book, in Thai, explores music scenes in Thailand and neighboring countries, namely Cambodia, Laos, Malaysia, Myanmar and Vietnam, as a preparatory step leading to the establishment of the Southeast Asia Music Museum by Mahidol University College of Music in Thailand. It describes the lives and works of top musicians embracing traditional (classical and folk) music in their work. They include in her lecture, Lawan Jirasuradej, will use photos and short video fragments to present how these digital age musicians, including soloists, singers, ensembles or bands, composers, conductors, mix media artists, DJs, musicologists, sound engineers, and also social activists, are reinventing music with their age-old instruments, some of which are fast disappearing, and offering us a new soundscape that often blur the boundaries of genre. She will discuss how they find themselves connecting to musicians in different cultures of the world much more, and in doing so they discover the unique sound of their own traditional music. For instance, Thxa Soe, the Burmese hip-hop artist mixes Saing Waing ensemble (traditional orchestra) to create dance-beat mega hits. In Cambodia, traditional instruments were developed to accommodate chromatic scales and played along with Western classical orchestras, while also working to find their original pitches and scales. These current sound makers in Southeast Asia address the past to serve the present in order to not only preserve but also to inspire new creations for the future. Lawan Jirasuradej is an award-winning film-maker and recipient of Fulbright scholarship, artist residency and film grants. She is a former prime time television news reporter with capability in all-in-one video production, who is now working in documentary and television production for global networks, international NGOs and broadcasters.